H1N1, also called the Swine Flu Virus, has caught the world’s attention. Swine Flu is a mix of pig, bird and human genes to which people have limited natural immunity. It has symptoms nearly identical to regular flu — fever, cough and sore throat — and spreads similarly, through tiny particles in the air, when people cough or sneeze. Currently, 169 Mexicans have died from the Swine Flu, including sadly one Mexican toddler visiting Houston, Texas with family. To date 109 cases of contracted swine flu exist in the United States. Outside of North America, countries like Canada, New Zealand, Britain, Germany, Spain, Israel, Switzerland, the Netherlands and Austria all have confirmed cases. The World Health Organization (WHO) has raised their alert level to 5 and will soon to 6. WHO estimates up to 2 million people could die once the flu has run its course. The Red Cross is readying an army of 60 million volunteers who can be deployed around the world in hopes of helping slow the virus’ spread. Egypt is slaughtering all their pigs country-wide. Schools have shut down all over Texas for the next week to limit exposure. Thirty-nine Marines were confined to their base in California after one came down with the virus. People are screaming “pandemic,” wearing face masks, no longer traveling, and hiding in their homes. Others, like Freedom Watch Chairman and General Counsel Larry Klayman, are declaring Swine Flu to be a possible attack on North America by biological warfare. WorldNetDaily.com reports in their article “Swine flu an act of biological warfare?” (by Chelsea Schilling, April 27, 2009) that “Freedom Watch, a public interest watchdog, believes that there is a very good possibility that the precipitous outbreak of the virus in Mexico, which has now spread to the United States and other western countries, is not the result of happenstance — but terrorism.” Others are claiming the opposite, stating that the crisis is manufactured for the purpose of reaping more global governmental authority. News sites, blogs and emails are flying all over, fearful that the world is hurtling towards its demise. At this point in time, all this hysteria is totally unfounded. Medically, only a tiny total of 257 cases of Swine Flu are known to exist worldwide, and of those 169 deaths. In comparison, about 36,000 people die each year of the average flu in the United States. In the light of history, the swine flu existed back in 1976 and the overreaction to it caused more harm than good, with many getting paralyzed from the very vaccinations President Ford authorized to stop a possible pandemic. In 2003 the global fear was SARS, and then in 2005 the Bird Flu, and they all passed by with little harm. For a reality test, compare the Swine Flu to a real pandemic — HIV/AIDS. According to Avert.org, and educational site dedicated to the elimination of this devastating immunity deficiency disease, as of 2007 over 33 million people worldwide have AIDS. Nearly 2.7 million new cases are contracted every year! Nearly 250 cases of Swine Flu does not a pandemic make. 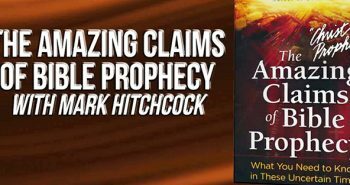 Students of Bible prophecy are very familiar with Matthew 24, where Jesus tells us that as we get closer to His return, wars, famines, diseases, lawlessness and false prophets would increase in frequency and intensity. 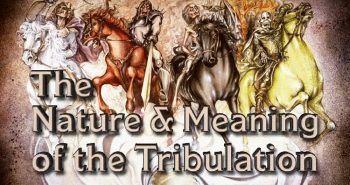 The rise in all of these shows that Jesus is not soon far off in coming back to Rapture those who are saved before the Tribulation takes place. During the upcoming 7-year Tribulation, though, when God releases His wrath upon the world for its continued rebellion against Him, Revelation 6:8’s description of mass disease will be a reality, contributing to the deaths of a quarter of the world’s population during that time. Jesus has not come back for His Church yet in the Rapture. The Antichrist has not been revealed. The seven seals of judgment have not yet been opened. 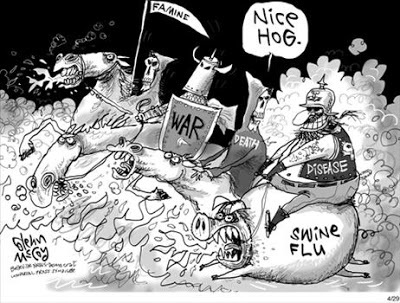 And, the Swine Flu is not the Fourth Horseman of Revelation 6. Previous PostWhen Will the OT Saints Be Resurrected? Looking at the reaction to “swine flu”, imagine the reaction to something that were really serious, like Ebola. Global chaos would ensue, crippling the world’s economy overnight. yes this is only gunna weaken the economy further. Horrible. get a load of this scary Report. I hate to say it, but I’m in the “manufactured crisis” camp. It really does make sense. A hybrid flu virus of swine, avian, and human genes? 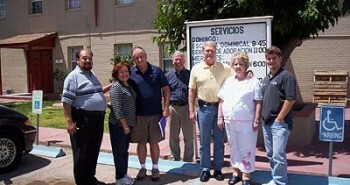 And it comes along just as the world leaders are really making a huge push to globalize? I hate to sound like a conspiracy theorist, but…. I couple that with this: I am not at all worried about swine flu. I do not listen the Lamestream Media and their assessment of how everything is a “crisis.” The liberal government uses the liberal media to push their agenda of government as God (they don’t put it that way, but that’s what it is), in an effort to control people. Satan’s in overdrive here, people. Time is getting short. I agree that the ‘crisis’ is somewhat manufactured. Regular seasonal flu affects millions of people each year, and kills upwards of nearly 40,000 people in the United States alone annually – mostly infants and the elderly. The difference with the swine flu though seems to be that those it has killed thus far have largely been ‘healthy’ individuals who would normally not succumb to influenza. The Obama stories are old now so the media have to push something else – VIOLA! Swine Flu!! This is another push by satan to create a sense of panic. When a strong leader that is recognized by the whole world emerges then it will be that much easier for the world to turn to him for support. The media is just a tool in satan’s tool bag. The Obamassiah’s policy is to keep everyones focus elsewhere. Like a clever stage magician, the administration keeps our attention on one thing and presto, change-o, the slight of hand is completed. The swine flu is just another distraction to keep our focus away from what his right (or would that be Left?) hand is doing. Has anyone seen the new Obama painting, “The Truth” aka “Obama as Messiah”? i dont know about conspearacy theories, i think its a bunch of hype tho. I really believe in the “better safe than sorry” motto for this. It’s not a conspiracy, and people have lost loved ones because of this flu. As Christians we should be offering the most sympathy of all people on earth, despite the blasphemy, political views or personal choices other people choose to make. Be an example brothers, not a burden to those looking at you to see the ways of Christ. You’re right, hartdawg, it is a bunch of hype. That’s the point. Now they have people scared that upwards of 2 million people could die from this, but never fear, government is here. Depending on who you ask, there have been either 160+ deaths worldwide or 7. Only 7? And the one who died on US soil already had health problems. So who do we believe? What do we believe? How many people die from cancer every year? Or the regular flu? Or car crashes? So our choices are a)this is a natural occurance, b)this was manufactured by our own government, or c)it’s a terror attack. Either way, go buy some Theraflu and a box of Kleenex. And Stephanie, I agree we should be offering help and solace to people who are suffering from this whatever it is, but the only government I trust is the one ran by the King of kings. I do not trust the elected government; I haven’t for many years now. I would not put it past the globalists to manufacture yet another emergency to force everyone into a globalized system. It is a conspiracy, one manufactured by the dark demonic forces, the principalities, that we are supposed to be at war with. We do not battle with flesh and blood. This is spiritual. It’s happening. It’s Biblical. It’s now. We’ll see who are the ones that are going to benefit of all this mess. my take on this and lets see if i’m correct: its NOT a pandamic, tho i do believe in safe than sorry. mostly hype. it IS however a sign of the soon return of christ. am i correct? anyone feel free to answer. i forgot 1 point, it aint neccessarily a conspiracy tho the government WILL exploit this. “never let a chrisis go to waste. anyone feel free to answer if im mistaken. I think this is a warm-up for the real delusion that is on its way. Yes, exactly. “We” will see, but others will not. They have been blinded by the false Obamessiah’s light. Still others see no need to seek the guidance of the holy Spirit in such matters. It is these folks I fear for the most. Those who crafted and are exploiting this pandemic of H1N1 for their agenda will have hell to pay for it. I would go even higher than our beloved leader, SeanOsborne. He answers to an even higher authority: the globalists, who in turn, answer to the demonic forces they follow. Obamassiah is only doing as he is commanded by groups such as the Bilderberg Club. REAL SOURCE OF THE SWINE FLU! Oh course we know our government will “never waste a good crisis” to strip away our freedoms. As another noted, we will definitely see who benefits from this “crisis”. I’m expecting it will be the globalists and the obamabots. How in the world do you survive in Seattle without coffee (or what passes for coffee up there) or tea? I guess they thought it was better to be safe than sorry.